An easy-to-understand, up-to-date guide on the highly publicized drug, DMSO. DMSO - dimethyl sulfoxide - is a simple by-product of wood and has been called a "miracle" drug, capable of relieving pain, diminishing swelling, reducing inflammation, encouraging healing, and restoring normal function. 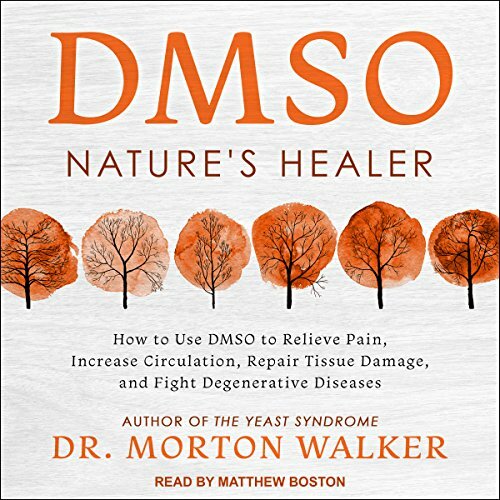 In this groundbreaking work, award-winning health science writer Dr. Morton Walker examines the powerful and compelling case for the use of DMSO in the treatment of many debilitating disease and health-related problems. In DMSO: Nature's Healer, Dr. Walker cites documented cases of its astounding use in healing and prevention of a host of health disorders, including arthritis, stroke, cancer, mental retardation, and sports and auto injuries. He also recounts the dramatic story of the long struggle to gain FDA approval of DMSO. DMSO oil and it's many uses! This oil needs to be in every single home as a first aid kit.Mind boggling the many uses to help from ankle sprains,strokes,brain injuries,arthritis and much more!